The Escrick 10k raises funds on behalf of the Escrick Playing Fields Association (EPFA). 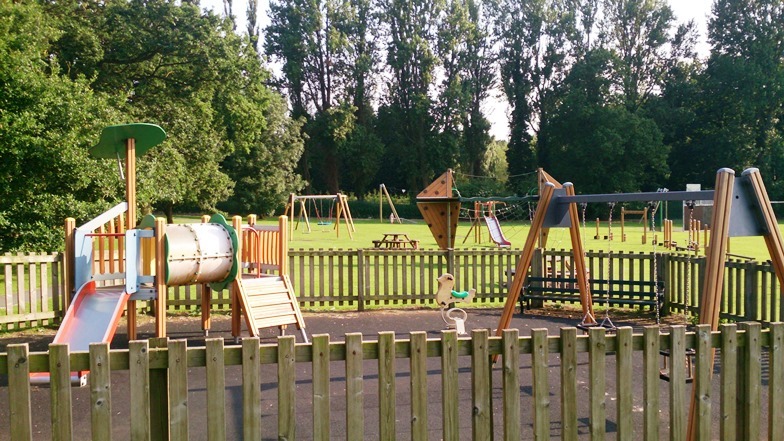 The Escrick Playing Fields Association is a registered charity, established by a group of parents in Escrick, to fund the installation and ongoing maintenance of refresh of the Escrick Playing Fields playground. In 2003 the then Escrick playground was run down, with limited equipment and on the verge of being closed down as unsafe. A group of parents got together to raise funds to develop a new playground for the village. The playground was designed around the number and profile of children living in Escrick and attending the village primary school, covering all age groups. Initially funds were raised through a mix of sponsorship, grants and local fund raising initiatives - which covered the cost of about two thirds of the equipment. The Escrick 10k was then established to complete the initial scheme, and thereafter to provide a long-term income to pay for the ongoing maintenance and rolling refresh of the equipment - aiming to ensure that the village continues to have a safe and varied playground for future generations of children. The Escrick 10k has also been able to support other local causes in Escrick, including in 2018 the relining of the village pond and refurbishment of the village green. The original equipment is now over half way through its expected life and the EPFA are saving funds towards a rolling replacement programme.